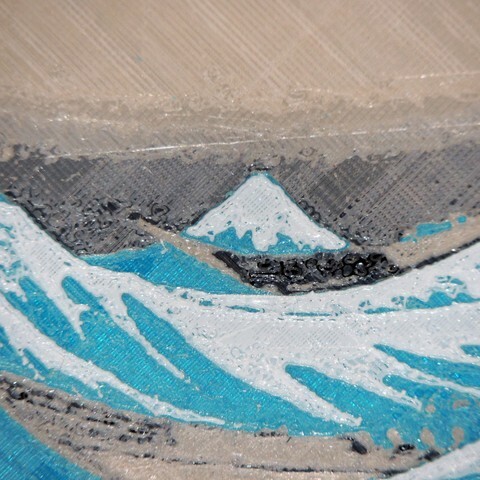 This is a 3D print interpretation of The Great Wave off Kanagawa. 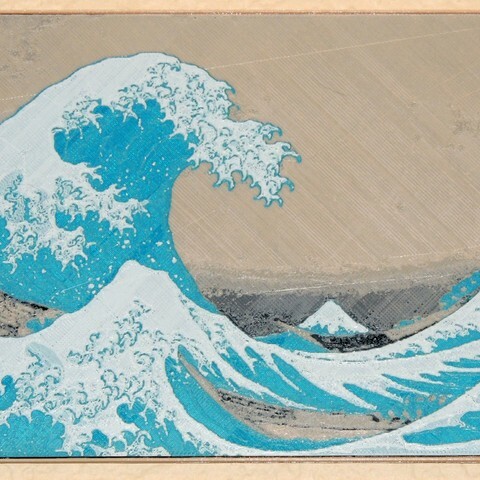 The original is a Japanese woodblock print, made around 1830. It's on my list of favorite artwork. This model is one piece. Filament swaps are used to make the color changes. The model was made to fit a 200 mm x 200 mm print bed, using a 0.4 mm nozzle. 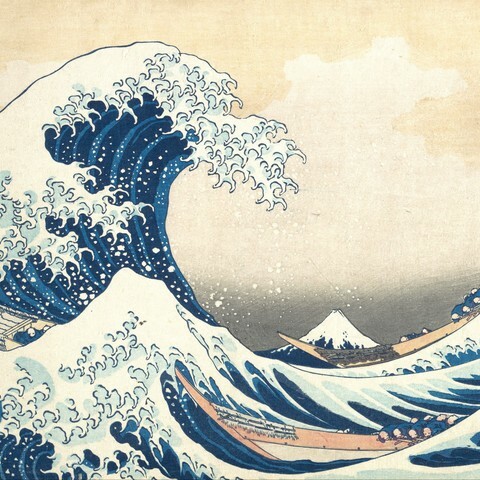 The waves did not turn out as dark blue as the source image, but I like the lighter blue myself. If someone wants a darker blue model, I can probably accommodate that. 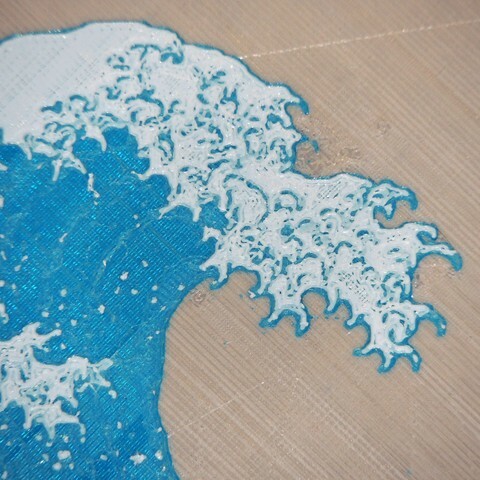 Great_Wave.stl - Start with Black, change to Beige at 0.6 mm, change to Dark Blue at 1.1 mm, change to Light Blue at 1.2 mm, change to White at 1.4 mm. 0.1 mm layers. Infill 100%. Great_Wave_frame.stl - Color, layer size etc. is your choice, but I chose Beige.